FBI special agent Mercy Kilpatrick has been waiting her whole life for disaster to strike. A prepper since childhood, Mercy grew up living off the land—and off the grid—in rural Eagle’s Nest, Oregon. Until a shocking tragedy tore her family apart and forced her to leave home. Now a predator known as the cave man is targeting the survivalists in her hometown, murdering them in their homes, stealing huge numbers of weapons, and creating federal suspicion of a possible domestic terrorism event. But the crime scene details are eerily familiar to an unsolved mystery from Mercy’s past. FBI Special Agent Mercy Kilpatrick and her partner are called in to the small town of Eagle’s Nest, Oregon in central Oregon to help investigate the murder of an elderly prepper – someone who spends their time preparing for TEOTWAWKI (the end of the world as we know it). Mercy knows this lifestyle because she was raised in it and actually grew up in Eagle’s Nest. She left after being shunned by her family and hasn’t been home in 15 years. Police Chief Truman Daly likes his job in Eagle’s Nest after being a police officer in a large city in California but it was his uncle who was killed and he wants some answers. I enjoyed this start to a new series that takes place in central Oregon near the town of Bend. The author actually wrote about an area that she seems to know pretty thoroughly and it helps the story. I’ve been to the Bend area many times and the author was spot on in her descriptions of the locale and actually of a lot of the people that live near there. I liked the main protagonists – Mercy and Truman – and I enjoyed the details on the serious prepper’s lifestyle. The plotline was a bit loose at times but it all pulled together in the end. 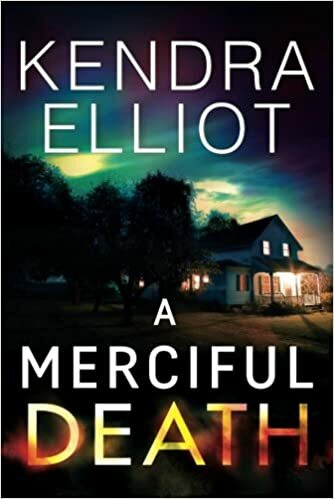 I’m reading the second book in this series next – A MERCIFUL TRUTH – and am looking forward to reading more about this strong female protagonist. Held my attention! I am not normally a reader, but I read the entire book within 24 hours! Highly recommend. I really like the authors writing style which keep your interest throughout the entire book sos much so that when it ends, you want more. Loved this book — really really good. Looking forward to reading the next one. This is a book almost anyone can read.